Are you being harassed by relentless creditors who call your home at all hours of the day and night? Do you worry that your car will be repossessed? Have you fallen behind on your mortgage payments, leading you to worry that the bank will foreclose on your home? The lawyers at The Law Office of John Iaccarino, a full-service bankruptcy law firm located in Burlingame, California, have years of experience focused on providing debt-relief to clients like you. When difficult economic times or an unexpected event causes you to experience devastating financial difficulties, you need a bankruptcy law firm that will listen thoughtfully to your concerns, carefully evaluate your situation and advise you on the type of bankruptcy that is best suited to your needs. Our individually tailored advice will provide you with the guidance you need to make informed decisions to best achieve your financial goals. 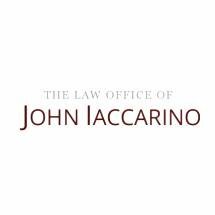 The knowledgeable and experienced bankruptcy attorneys at The Law Office of John Iaccarino are devoted to answering all of your bankruptcy questions and handling Chapter 7 and individual Chapter 13 bankruptcy filings. They are also able to provide careful and considered guidance when you need a law firm to assist with your estate planning and probate needs.